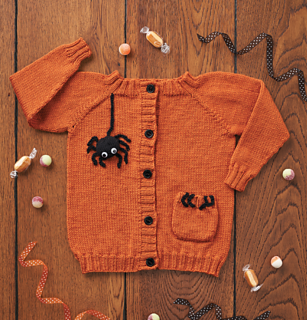 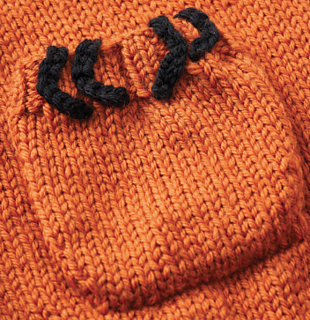 Not spooky at all, this cardigan is perfect for keeping kids warm while trick or treating this Halloween. 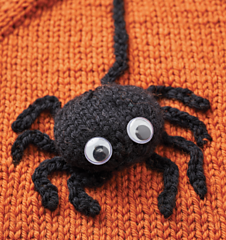 It’s made in stocking stitch and has a delightful spider adorning it, and another making its way out of the pocket! 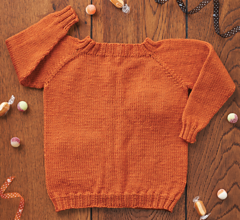 Note This is a seamless raglan cardigan knitted in one piece from the top, with the button bands picked up at the end.